It is our pleasure to announce that Dr. Koray Erdogan will be in London in May and that he will be booking personal consultations on May 14th and 15th ,2016 from 9.30 a.m. until 6 p.m.
sevinc@asmed.com.tr by and no later than May 5th. Incomplete requests or those sent to other addresses or beyond the deadline date will not be considered. Include the date that the drug therapy began. Any previous hair transplantation procedures that you have undergone. 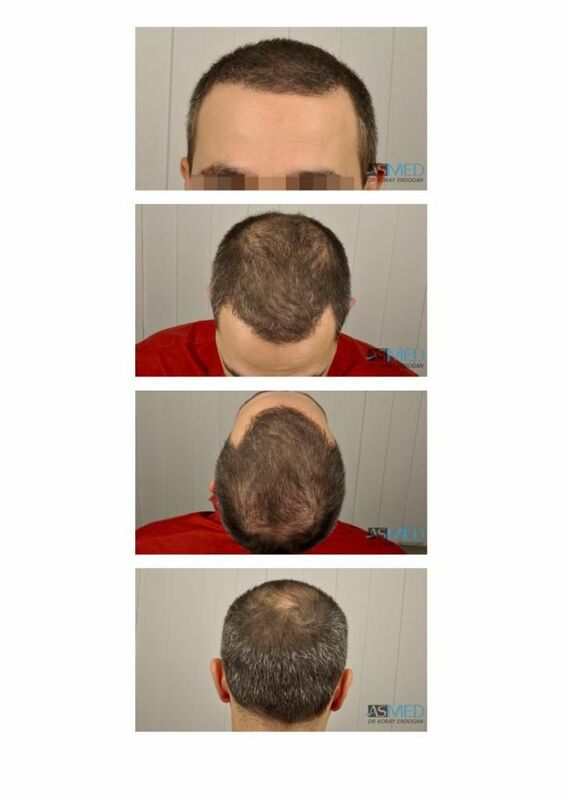 Indicate if the procedure was using the FUE or FUT technique. Any specific expectations/results that you hope to obtain through a transplant procedure. Any health problems and/or diseases that you have experienced such as arrhythmia, high blood pressure, diabetes, epilepsy, hemophilia, hepatitis etc. Any allergies to medications or local anesthesia that you have experienced. Four photographs (see sample below) – These MUST be good quality photos taken from a reasonable distance (not too close) and if possible, in natural light. IMPORTANT: DUE TO TIME CONSTRAINTS AND THE DESIRE ON THE PART OF DR. ERDOGAN TO CONDUCT IN-DEPTH AND COMPLETE EVALUATIONS FOR EACH PATIENT, ONLY THE BEST CANDIDATES FOR THE EVALUATIONS WILL BE PERSONALLY CONTACTED BY THE CLINIC’S REPRESENTATIVE FOR AN APPOINTMENT. FURTHERMORE, DR. ERDOGAN WILL CONDUCT A PERSONAL EVALUATION OF ALL THOSE WHO HAVE COMPLETED A CONSULATION BOOKING REQUEST AS WELL AS THOSE WHO HAVE BEEN INVITED FOR A CONSULTATION. (THE EVALUATION WILL BE SENT VIA E-MAIL). AND THAT THEY SEND THE RECEIPT OF THE TRANSACTION VIA E-MAIL. Our patient coordinators will contact the chosen candidates for more details. See you soon in London.